Stone Imperial Russian Stout 2015 (10.6% ABV, 65 IBUs) is on the market. But as usual, Stone didn’t stop there. 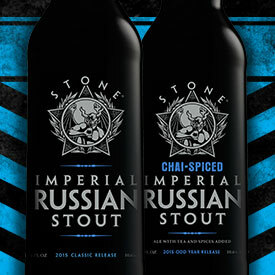 Check out Stone’s beer finder at find.stonebrewing.com to track some down.